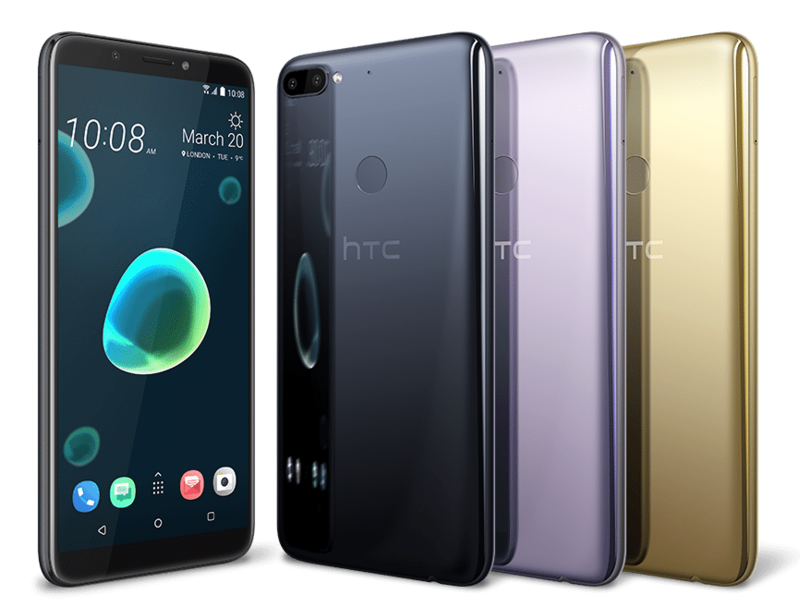 HTC has finally launched the new Desires devices HTC Desire 12 and Desire 12+ in India today. The HTC Desire 12 and Desire 12+ are priced at Rs. 15800 and Rs. 19790, respectively and comes with Cool Black and Warm Silver color options. The HTC Desire 12 comes with a Mediatek processor inside while the bigger HTC Desire 12+ has a Snapdragon chipset inside. The bigger HTC Desire 12+ comes with a dual rear camera setup while the HTC Desire 12 has a single rear and front cameras. Both the devices were announced back in March this year and are already available for sale in European countries in some other regions as well. The HTC Desire 12 features a 5.5-inch HD+ 18:9 2.5D curved glass display with 1440 × 720 pixels resolution and is powered by a 1.5GHz Quad-Core MediaTek MT6739 64-bit processor with PowerVR Rogue GE8100 GPU. It has 2GB of RAM with 16GB inbuilt storage and 3GB of RAM with 32GB internal storage options with both variants supporting expandable memory up to 2TB with MicroSD card. It runs on the Android 7.0 (Nougat) with HTC Sense UI and is expected to get the Android 8.0 Oreo as soon as it gets launched. It comes with Dual SIM option as well. It features a single 13-megapixel rear camera with LED Flash, f/2.2 aperture, PDAF, BSI sensor, 1080p video recording along with a 5-megapixel front-facing camera with f/2.4 aperture. It has a 2730mAh battery and connectivity options available are 4G VoLTE, Wi-Fi 802.11 a/b/g/n (2.4 & 5 GHz), Bluetooth 4.2, GPS + GLONASS. It measures 148.5 x 70.8 x 8.2 mm and weights 137 grams. The bigger HTC Desire 12 Plus features a 6-inch HD+ 18:9 2.5D curved glass display with 1440 × 720 pixels resolution and is powered by a 1.8GHz Octa-Core Snapdragon 450 14nm Mobile Platform with Adreno 506 GPU. It comes with 3GB of RAM along with 32GB inbuilt storage that is expandable up to 2TB with MicroSD card. 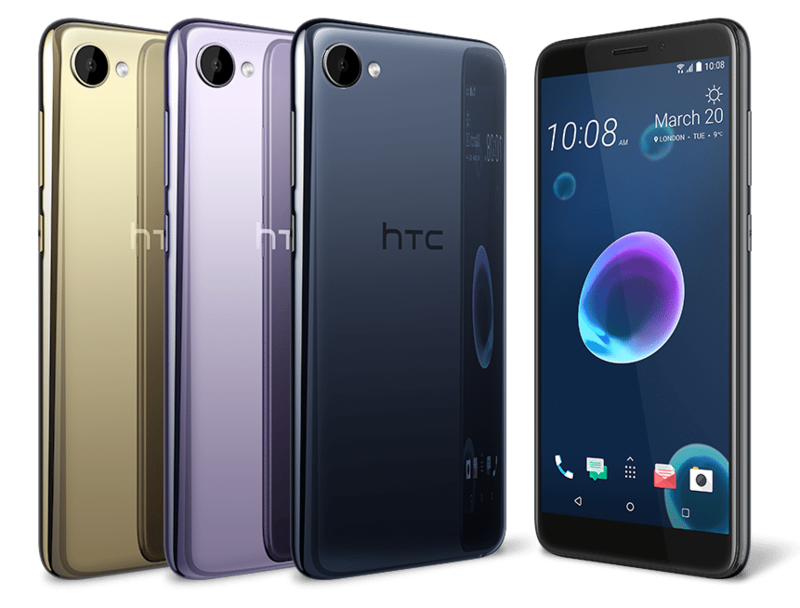 It runs on the Android 8.0 (Oreo) with HTC Sense UI out of the box and supports Dual SIMs. It features a dual rear camera with a 13-megapixel camera with LED Flash, f/2.2 aperture, PDAF, BSI sensor along with a secondary 2-megapixel camera with 1080p video recording. It also comes with an 8-megapixel front-facing camera with f/2.0 aperture, BSI sensor and LED flash. It has a 2965mAh battery and supports 4G VoLTE, Wi-Fi 802.11 a/b/g/n (2.4 & 5 GHz), Bluetooth 4.2, GPS + GLONASS connectivity options. A fingerprint sensor is available on the rear side. It measures 158.2 x 76.6 x 8.4 mm and weights 157.5 grams.